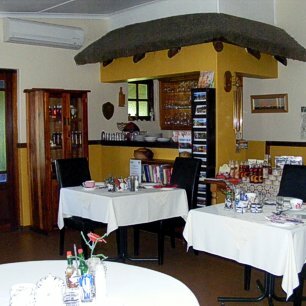 Family owned and run guest house. in town. Saint du Barrys is built round an enormous Wild Fig tree. Close to restaurants and amenities. 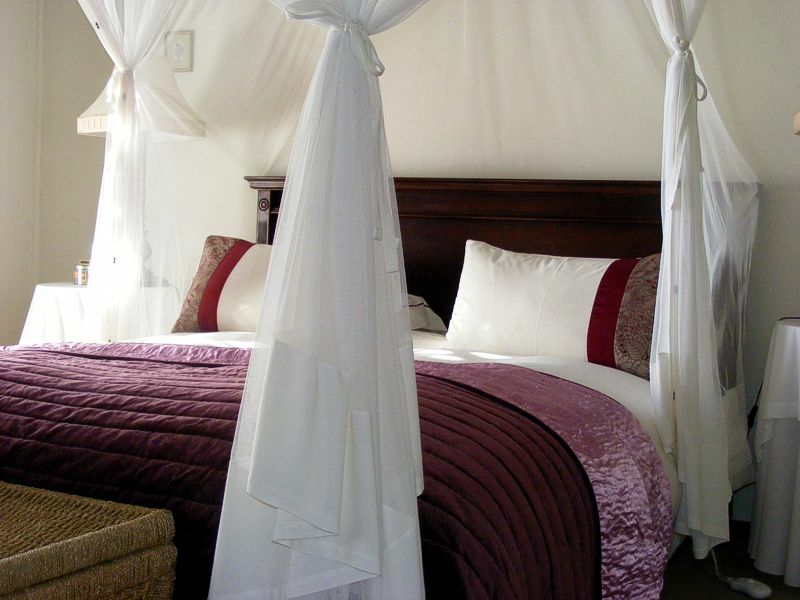 5 large tastefully furnished guest rooms. 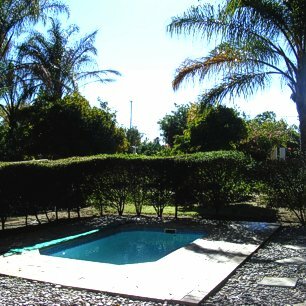 All opening onto the garden and pool. Air-conditioned throughout. Safe under cover, off road parking. Thatched veranda for outside dining in summer. 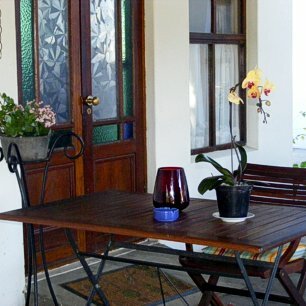 Home made breakfasts served in the dining room or on the veranda. Fully licensed. Credit cards accepted. Dinner by arrangement.